Get draft reviews before you self-publish your book. Share it with friends who will give you an honest opinion – then LISTEN. When they tell you it didn’t hold their attention or had vague characters, figure out how to make it better and go back to work. Only put out your very best work. Hire a professional book doctor or editor who will be brutally honest in telling you what’s right and wrong with your book. LISTEN. Make changes and pass the book around again until both friends and professional editors tell you it is good. Not everyone will agree on every detail, but listening to comments and acting on those that make sense will only make you a better writer. Enter contests – We won $1000 for The Leopard Tree when it won Best Young Adult Novel in 2008 in the Writer’s Digest Self-published contest. Some contests include a professional review as part of the award. Ours earned a Midwest Book Review. Also, you can pull excerpts out of the judge’s comments, which will be very useful in promotions. Give a free copy of your book to friends and acquaintances who express a bit of interest and ask them to read it and review it. Do not tell them to “review it if you like it.” Ask for honest feedback. If you don’t have the confidence to do this, your book may not be ready for publication and it likely will not sell. Remind people who tell you they have read your book to post a review on Amazon. Some will immediately agree and some will not be comfortable doing that. If they say they will, REMIND. People get busy, and may forget to get this done without the gentle reminders. Ask other authors who write in your genre to review your book and offer to review their book in return. Local publishing associations are a great place to find people who are willing to participate in a reciprocal reading/review strategy. You each have an opportunity to learn more about each other, writing and reviewing. Read every review that goes up, and don’t forget to thank reviewers publicly in your Blog and on your book’s Facebook page. Encourage people to post a recommendation for the book or a few words from their review on their own Facebook and Twitter pages. 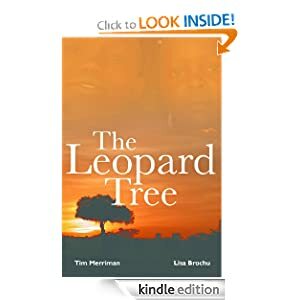 The Leopard Tree only had half a dozen reviews after five years on Amazon until we got serious about promoting it. It went from 10 5.0 Star reviews in May of this year to 38 5.0 Star Reviews this past week. Twenty-five thousand readers who downloaded it for FREE are now leaving unsolicited comments on Amazon and Facebook. Thankfully, their comments have been very supportive and positive and sales are growing..
We had 11 – 5.0 Star Reviews on our non-fiction book, Put the HEART Back In Your Community, in less than a year and went from one review to eleven in less than two months. We could have done better but simply did not work at it. Now we know we have to work at it and are learning how to do that more effectively. It is a niche market book about community planning so we were not disappointed with 1,400 downloads during three free days. As an author, if you are involved in the Kindle Direct Publishing Select program with Amazon, you get five days every 90 days to promote your book by allowing a free download. By getting it in more readers’ hands, even though they haven’t paid for the pleasure, you are creating opportunities to get more reviews. Reviews certainly help you sell your book, but they also energize you as a writer. When you begin getting reviews from people you don’t know and may never meet, and they clearly understand what you attempted to get across, there is no better reward. At their worst, reviews provide needed feedback. But at their best, they are rocket fuel. Before You Publish Your Book, Read . . .